At Armbruster Stageway, we are continuously trying to stay ahead of the innovation curve and create more options and functionality for our clients. Our goal is to do this while maintaining the beauty and attention to detail that is required in an elite Funeral Coach. 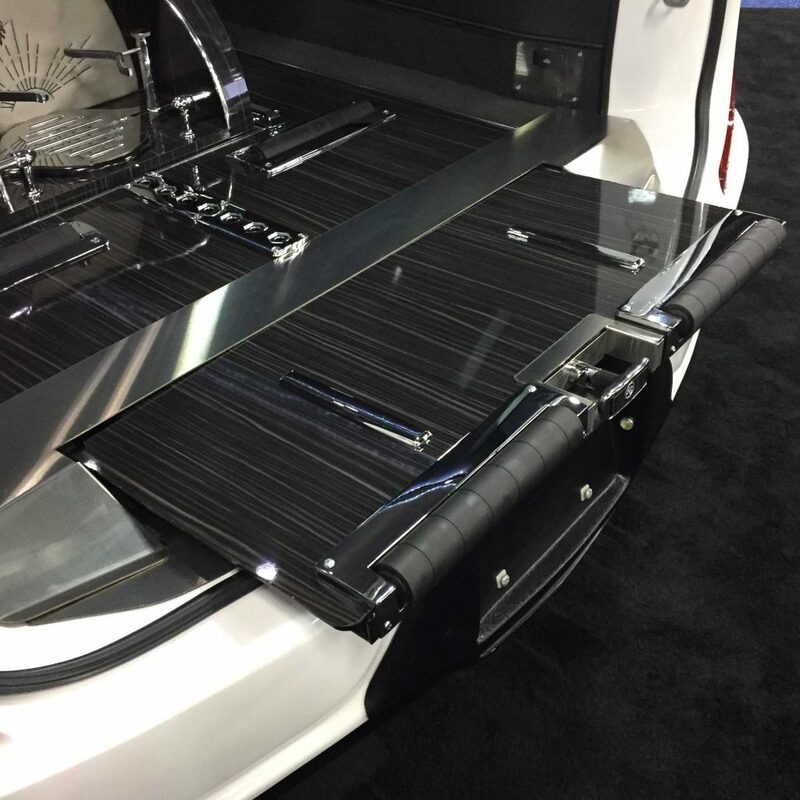 Although the rear door opens 160 degrees on all Armbruster Stageway Funeral Coaches, the extra extension of the Extend Sill eliminates all possible obstruction in the loading process. The Extend Sill allows the individuals loading the casket more room to maneuver. It stores away nicely with a simple motion into the rear of the Coach and does not detract from the beauty of the rear of the Coach. The Extend Sill creates a more fluid overall transition from church truck to Funeral Coach and a stable surface. Like the extend table, the Extend Sill adds a level of presentation to the funeral service in our funeral cars for sale.